Many people ask the question if they would be better off just paying the fine rather than taking a Texas defensive driving course (online or classroom). My answer to that question is that in most cases it is always best to keep your driver record clean if you have the option. 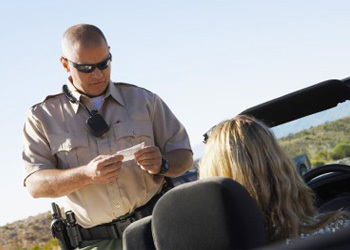 So if you are not familiar with the process, in Texas when you get a traffic ticket, you will be given a court date which you must appear in person or contact the court on or before that date to either dispute the ticket or let them know if you plan to just pay the fine, take a driver safety course (a.k.a defensive driving), or take some other action. Many people choose the defensive driving course option, but let’s see why this is probably the smartest choice. If you pay the fine, then that traffic citation will go onto your driver record. This is not a huge deal if you only have one ticket on your record, but if you are unfortunate enough to get multiple citations in short amount of time, or you were to be involved in a crash and you have tickets on your driver record, you can accumulate points that could trigger insurance premium increases or surcharges from the State. For this reason, I always advocate taking a Texas defensive driving course if eligible to keep your driver record clean. This way you are as far away as possible from ever experiencing these expensive premium increases or surcharges. It is also worth mentioning that in most cases, even though you will still be required to pay a court fee when you choose defensive driving to take care of your ticket, it is still usually less expensive than paying for the ticket. For many folks, it is not about the money, it is more about the time. Since online courses are now approved in Texas, this is less of an issue since the course is available 24 hours a day and you can log in and out at your convenience so that the course will fit into your schedule. It is for this reason that everyone should check out a state approved Texas defensive driving online course option, such as the one offered by Driver Training Associates, Inc.